Categorized as: Stories on February 24, 2014. Imagine that you are Sarafina, an HIV+ mother of a daughter who has been treated for moderate malnutrition three times. The health care providers in your rural African village went through the steps required by government protocols at each visit, and say little when you return for the fourth time, as your child continues to be malnourished. This time your daughter is diagnosed with severe malnutrition and hospitalized. Despite being in the hospital for two weeks, she loses her battle to survive. You believe that the health care providers did not act quickly enough, and did not truly care about you or your child. In contrast, the health care workers felt helpless to change the situation and quietly believed that a fast death for this child may not be worse than prolonged suffering from malnutrition and poverty that would ultimately have the same deadly outcome. Imagine now that you are 9,000 miles away and working as a health care provider in the United States. A scruffy-looking man comes into your office complaining of abdominal pain. He tells you that he drinks a six-pack of beer a day, although you suspect that he drinks more. The next step should be to refer him for treatment, but you have little faith in the resources within your community to address these issues. You decide not to further pursue these topics, and choose instead to focus on his original compliant—his stomach pain. You do an exam, prescribe some pills, and send him on his way. Sadly, this man passed away three months later from complications of alcoholism. The second scenario describes my father’s last few months of life. He was an aeronautic engineer who could sit for hours and draw me diagrams of the latest cool wind tunnel he was designing to test supersonic aircraft. I worshiped him—not only because he was brilliant, but also because he believed that I was bright enough to follow along. Yet, even as a child, I had a sense that he did not understand his own capacity. Although he joked freely, he had a sadness to him and a sense that he was not worthy of self-care. I was so sure that if he could see the amazing being that I saw, he would realize that he had the strength to stop drinking. Unfortunately, my father died before he was able to realize this. I suspect that his physician had felt a similar sense of hopelessness as the health care provider in Africa about his ability to influence the outcome of his patient’s health. This sense of hopelessness in health care occurs around the world every day. Even in the United States, health care providers often feel incapable of treating conditions exacerbated by vulnerability such as substance abuse, mental illness, or lack of access to healthy foods. Governments and global agencies have developed protocols to guide health care providers in these settings, but on-the-ground health workers must believe that they are capable of carrying out efforts that will lead to improved outcomes. Even the most evidence-based health care protocols will fail to reach the desired outcome if those who carry them out do not understand or believe in the interventions. Now, let’s imagine a different situation. 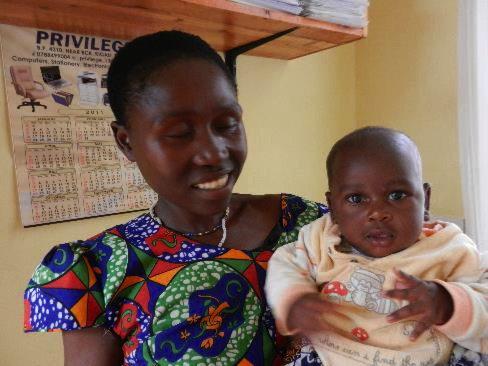 Oliva, an HIV+ mother living in rural Rwanda, gives birth. She is referred to the health center’s Nutrition for HIV-Exposed Infants (NHI) program, where she is personally provided with fortified porridge while she breastfeeds; the same porridge will be available to her six month old infant when complementary foods are introduced into her diet. Oliva is advised of what she can expect from her health care provider over the next 24 months, as well as what will be expected of her. She is encouraged to join the local farming cooperative so she will continue to have access to food after the program ends, and is referred to the artisan skills training program to learn marketable skills. Each month, she brings her baby to a health assessment where her child is evaluated for malnutrition and HIV, and she is offered health education sessions with other HIV+ moms. The nurses are confident, thorough, and engaging. When barriers to quality care are identified at the health center, Oliva and all of the HIV+ mothers in the program are encouraged to contribute their ideas to improving the system of care. The difference in the quality of care received by Sarafina and Oliva is clear. In Oliva’s case, her health care providers have found a way to bring Ministry of Health protocols to life. They understand the rationale behind the protocols and believe that their actions will lead to improved outcomes despite their limited resources. At The Ihangane Project (TIP), we believe that self-efficacy is an essential component of successful health care delivery. Self-efficacy describes the extent to which a person believes in her/his ability to carry out tasks and achieve goals. Success depends upon front line health care providers’ capacity to provide care and to inspire community members to implement healthy changes in their daily lives. What motivates local health care providers to decipher the intent behind cumbersome health protocols and foster innovation in a setting of extreme resource limitations? This is where The Ihangane Project comes in. We believe that individuals who are living and working in their community are most likely to have thoughtful solutions. We work closely with health care providers and recipients of care to understand the existing health care infrastructure, current resources, and barriers to their ability to fulfill the spirit of Ministry of Health protocols. We consider patience and empathy to be essential qualities needed to foster engagement and long-term sustainability and weave these concepts into our four key strategic concepts as we work with communities: Partnership, Capacity Building, Data Quality, Sustainability. The foundation of our work is based upon the development of long-term relationships with our partners in the field. One example involves HIV testing for HIV-exposed infants. Health centers are expected to do regular HIV testing at particular intervals, but we found that this was not happening consistently. In order to get context for this issue, we reached out to nurses and HIV+ mothers. 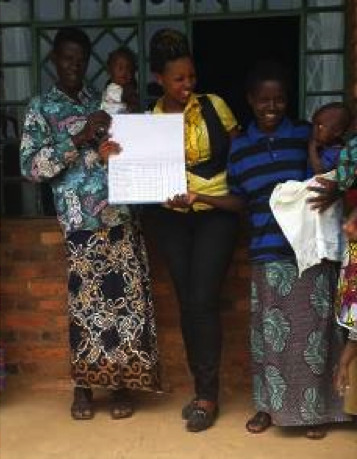 Through this process we discovered that some women are fearful of learning the HIV status of their infants. This contributes to delays in testing. To counter this fear, our participants have created a Testing Log that they manage together. Within each group, a participant leader has volunteered to reach out to women when their child is due for testing, and helps to support her through the process. Their motto is “Together, We Can”. At Ihangane, we love data! We believe that it is an inspiring way to show that efforts have an impact. We utilize a Continuous Quality Improvement model to demonstrate the benefits of accurate, consistent data for training, staff engagement, quality patient care, and program improvements. Our staff attends health assessments, and use an objective checklist to assess skill sets in clinical care, compassionate care, data management, health education, and logistics. After receiving their scores for our initial Observational Check List, the nurses chose three areas to focus efforts to improve. 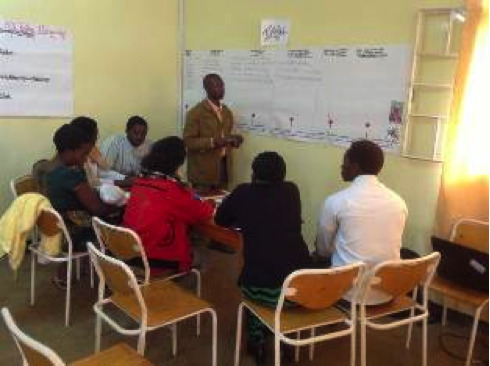 We worked with the nurses to strengthen skill sets and modify their systems of care to reach their goals. 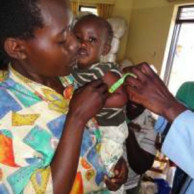 For example, Ministry of Health protocols recommend that all HIV-exposed infants with severe malnutrition be tested for HIV regardless of their age. This was not happening in part because of nurses lacked confidence in their ability to diagnose malnutrition. Four months later, here are their exciting results! We want Oliva and her daughter to continue to thrive beyond graduation from the NHI program. For this reason, TIP provided the start-up costs to establish a farming cooperative associated with each health center. All HIV+ community members are invited to participate. These cooperatives provide an essential opportunity for ongoing food security and income generation. These farmers work together to grow a combination of crops that can be taken home to their families or taken to the market for sale. 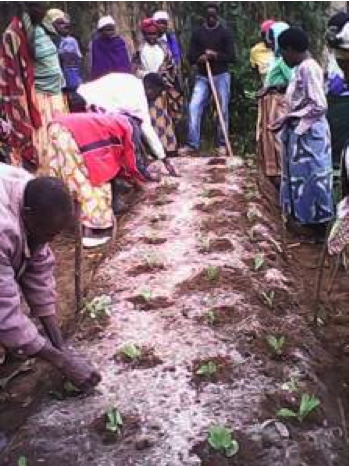 Although some crops have been taken to market, the majority of cooperatives have chosen to begin by providing food to their most vulnerable members. TIP’s agronomist provides ongoing training and support to foster success. We are now working with 500 HIV+ farmers via 7 health centers! 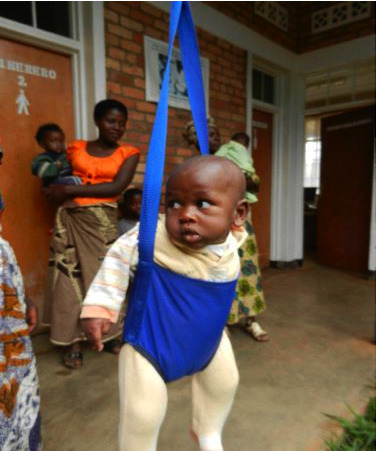 In our NHI Program, HIV-exposed infants are provided with fortified porridge for the first 24 months of their lives. This provides short-term relief for families while we are working together to strengthen their long-term food security. To foster sustainability, we are learning how to make our own fortified porridge! The farming cooperatives are donating the soya and maize needed in exchange for their start-up costs, and we are working with experts like Catapult Design to produce a quality and low-cost product. Within three years, we hope to produce enough of the porridge, or sosoma, that the health centers will be able to absorb the cost of the NHI Clinical Program. What can we learn from this experience in the United States? From scarcity comes great opportunity. Rwandese understand this and are open to new ideas that will help them reach their goals. In the United States, we suffer from a health care system that exists in silos, and is often torn between expectations of payer sources and patient needs. Interventions are often linked to funding requirements, and local health systems are strictly regulated to such a degree that ownership and innovation can be discouraged. Even more frustrating, socioeconomic barriers like substance abuse, mental illness, and lack of access to healthy foods can disrupt our ability to have any real impact. The concepts we’ve used in Rwanda are equally relevant to the United States. To truly succeed, we will need to give local communities the flexibility to rethink our response to health. I would challenge local communities in the United States to follow Rwanda’s lead by thinking innovatively about how we can work together to address the health care needs of our community. Please note that names/HIV status have been changed to protect the identity of our clients. LEARN more about how the Ihangane Project here. 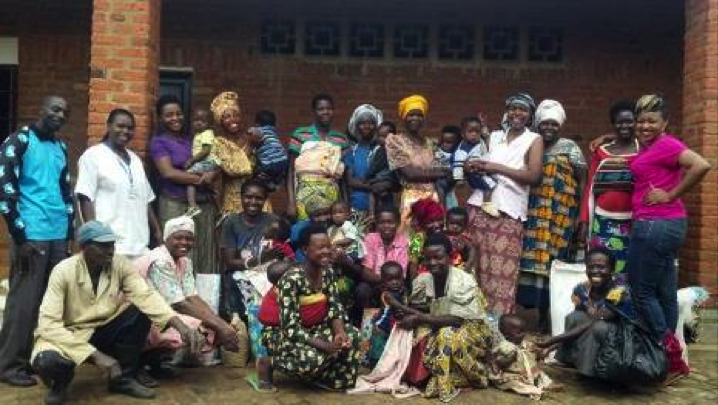 DONATE directly to help rural Rwandans communities achieve self empowerment and increase access to healthcare, here.